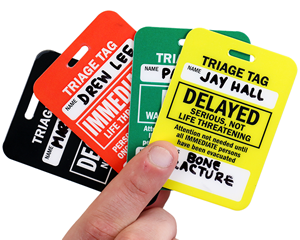 Triage tags are a vital tool for any and all first-arriving personnel because they help ensure life saving resources are quickly, effectively and efficiently distributed while providing the necessary immediate care for critical victims until more help, resources, or medical staff arrives. 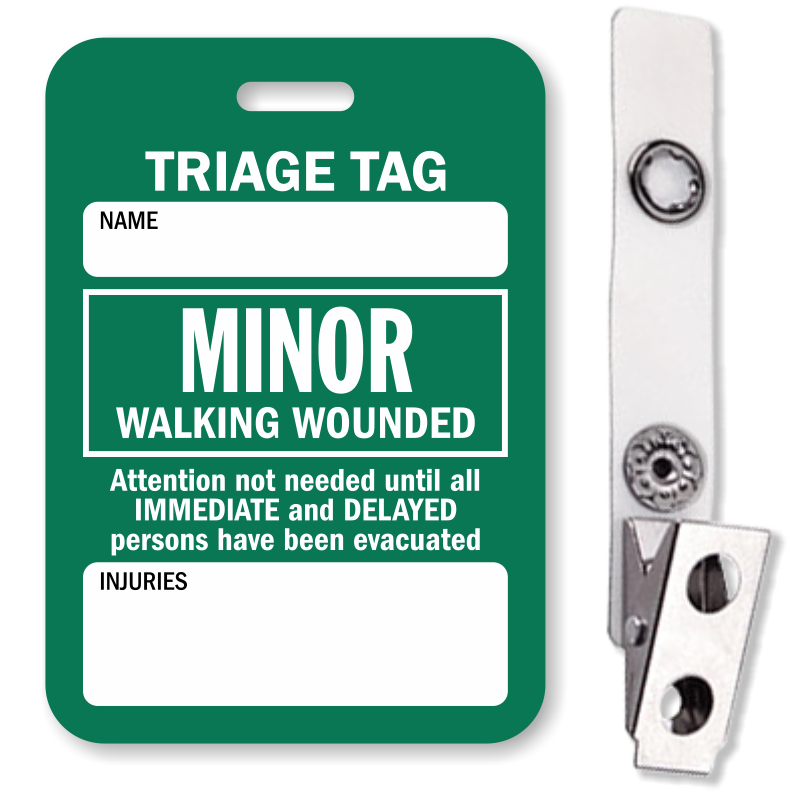 • Triage Tags allow victims to receive prompt medical attention according to the severity of the injury. 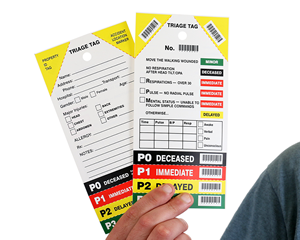 • Tags have readable sequential numbering with accompanying Code 39 bar code in multiple locations to allow for accurate matching, identification, and person count. 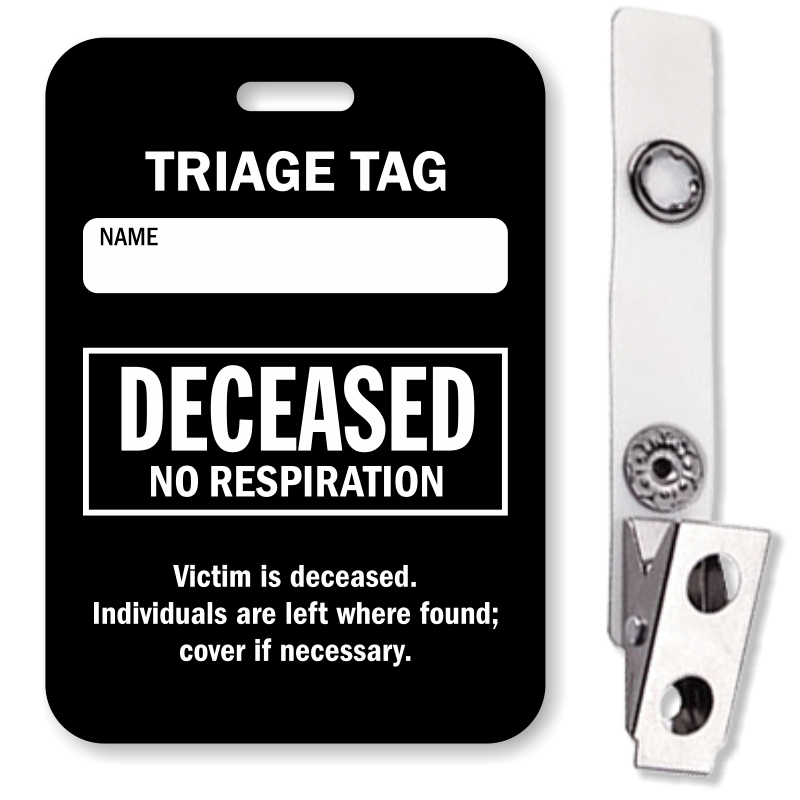 • Tag design accommodates write-in information and has perforations allowing first responders to indicate the proper injury level. 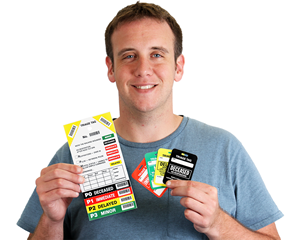 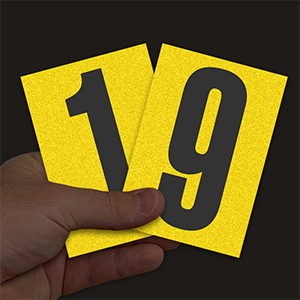 In addition, tear-off identity corners are supplied to label any collected personal belongings and mark the location of the incident once the victim has been moved. 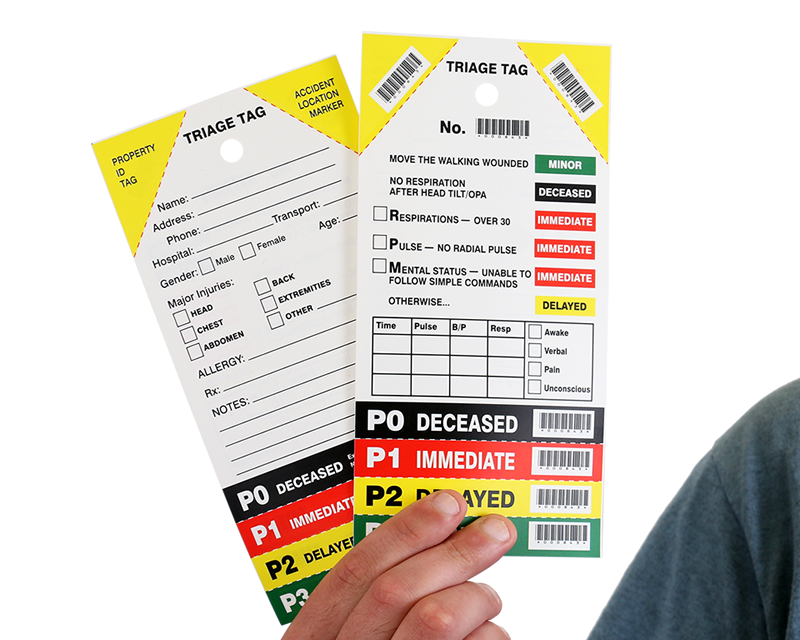 • 8" x 4" tag is printed on waterproof, weather-resistant cardstock with sequentially random starting numbers. Available in packages of 50. 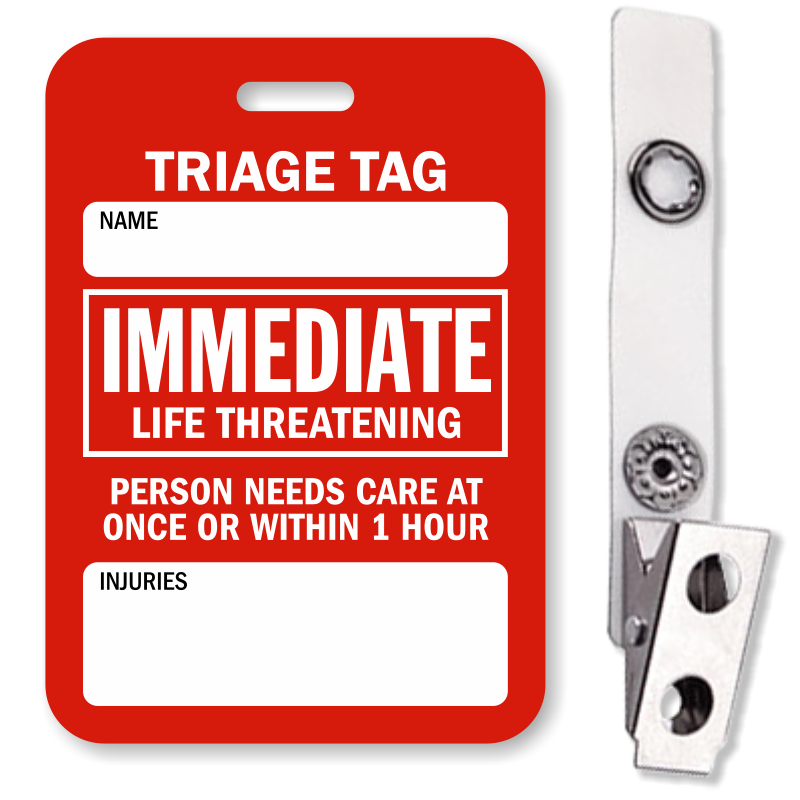 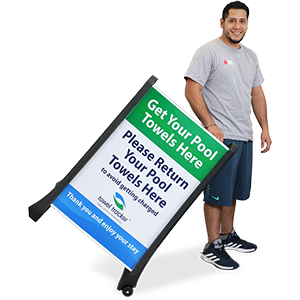 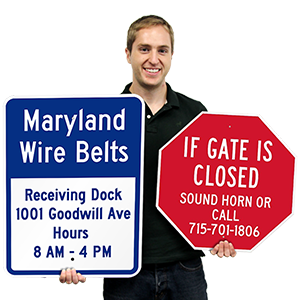 • We also offer triage accessories that work in tandem with our Triage Tags such as our free-standing Triage Area Floor Sign. 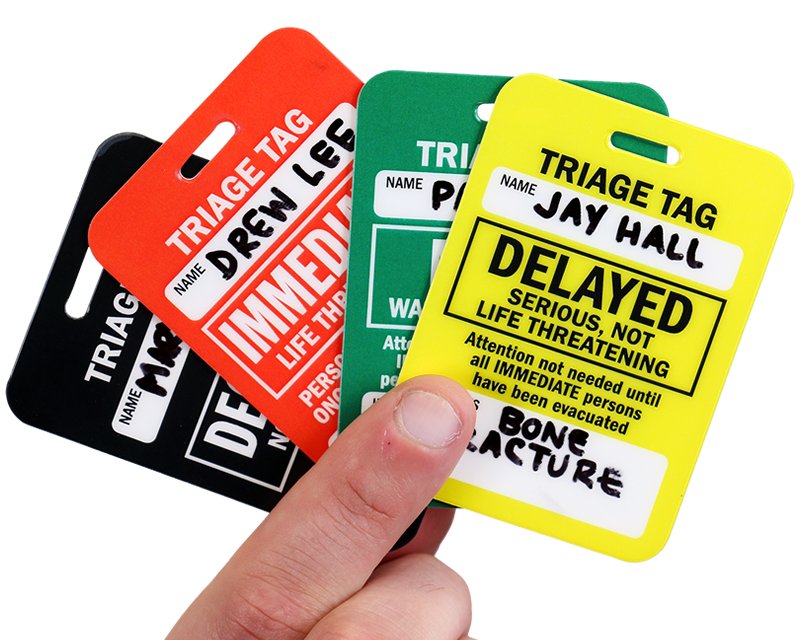 Triage tag colors show the level and urgency of care. 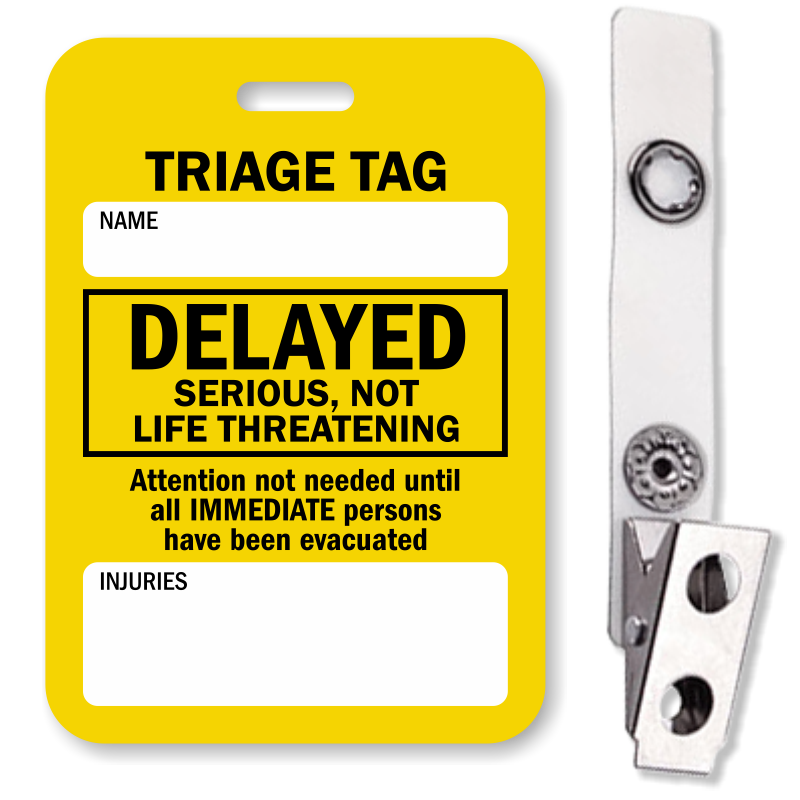 See, at a glance, each patient’s status.